That’s a powerful statement, but at Family Dentistry of Windsor, P.C., Dr. Stephen Lipman clearly understands the correlation between oral health and whole body health, and bases his treatment around this principle. Cutting-edge research proves that harmful agents we all harbor in our mouths can travel throughout our body, wreaking havoc and manifesting themselves as debilitating chronic disease. As a charter member of the American Academy of Oral Systemic Health, it is Dr. Lipman’s goal to improve his patients’ whole body health by educating them about this groundbreaking research and by teaching them how they, the patient, can implement simple techniques to make this goal a reality. Growing evidence shows a strong connection between your oral and overall health. Unchecked bacteria in the mouth can inflame oral tissues, and can get into the blood stream to affect other parts of the body. Some of the systemic health problems connected to oral bacteria include heart disease and diabetes. It is common knowledge that we have germs in our mouths. At first, we thought these germs only caused bad breath and perhaps caused our gums to bleed. We soon learned these germs did much more. Certain organisms could cause our teeth to decay, leading to cavities. Still others made our gums red. They seemed to thrive on the tartar or calculus that formed on our teeth. They appeared to trigger an inflammatory response that allowed our immune system to attack the bone that held our teeth in our jaws. The teeth would lose their attachment, ultimately become loose, and require extraction. What was first coined as pyorrhea, was to be called periodontal disease. Periodontal disease is a chronic infection that triggers an adverse inflammatory response in our bodies. It has been one of the most actively studied areas in dentistry. Researchers wanted to learn how the germs at the root of this infection, known as periodontal pathogens, triggered our body to destroy the attachment around our teeth. They identified many of the organisms that proved harmful. They learned how these bugs lived and reproduced. By using the tartar or calculus that forms on our teeth as scaffolding, these periodontal pathogens deposit sticky plaques, known as Biofilms and form colonies with other germs which give them a safe environment to grow. These pathogens also release toxins and waste products that are harmful to the surrounding tooth structures. In addition, they stimulate our immune system to attack. As a result of these mechanisms, the gums would become inflamed and bleed easily. The teeth, in turn, would lose their attachment to the jawbone. Still, the immune system could not win. The germs would be safe in the confines of their Biofilms and the entire process would continue unabated; the pathogens would continue to populate and produce toxins and the immune system would try to keep them at bay. The ultimate result for the patient was tooth loss and its resulting consequences. Researchers found that periodontal disease is the number one reason for tooth loss in the United States today. The story, unfortunately, doesn’t end there. What researchers have recently discovered and what Dr. Lipman firmly agrees, is that these oral periodontal pathogens don’t just stay in the mouth, they move. Where do they move? They are disseminated throughout the body. Wherever they take up residence they cause harmful inflammation and chronic debilitating disease. Through exhaustive research, it is now clearly understood that these oral germs release the same toxins and waste products, as they do in the mouth, throughout the body, destroying healthy tissue and ramping up our immune system to fight. By this process, it is now proven that oral periodontal pathogens are intimately connected with anadverse inflammatory response that leads to the formation of plaques in our blood vessels resulting in cardiovascular disease, heart disease, stroke, and death. In addition, researchers suspect and Dr. Lipman concurs that some of the most debilitating autoimmune chronic diseases identified today, like adult-onset diabetes, may be linked to periodontal pathogens and their effects on the immune system. Although there are other forces at work, for example an individual’s genetic make-up, periodontal pathogens definitely appear to be playing a very significant role. Their effect on Alzheimer’s disease, arthritis and many other ailments including some cancers is also being investigated. The missing link is this: how do these oral periodontal pathogens move from the mouth to the rest of the body and how can we control their numbers? The answer to this question, according to Dr. Lipman, is critically important. Our gums if pink, firm and healthy form a natural barrier. Organisms cannot freely move from the mouth into the rest of the body. However, if our gums become red, inflamed and bleed, harmful germs in our mouth have an open doorway to enter our body at will. Research has proven that this occurs almost without limit throughout the day. People who are diagnosed with gingivitis and/or periodontal disease by definition have inflamed bleeding gums that are harboring a large number of dangerous germs that can freely move throughout their body. These same people have an increased risk of cardiovascular disease, heart disease, stroke, and possibly many other debilitating illnesses. By providing for their oral health at Family Dentistry of Windsor, these patients can vastly improve their whole body health. Using his vast knowledge, employing the state-of-the-art Waterlase iPlus Laser, and by incorporating Oral DNA Testing for Periodontal Pathogens, Dr. Lipman can help his patients in the fight against gum disease. Dr. Lipman firmly believes it’s the coordinated teamwork between the dentist, physician, and patient that will lead to success. It’s no longer just about saving your teeth; it’s about saving your life. HPV, a virus long associated with the female reproductive tract, is now being implicated as the cause for the sudden rise of cancers of the head and neck in both men and women. A sexually transmitted disease, people who harbor HPV in their oral cavity have a far greater risk of contracting oral cancer than those who do not. The numbers are staggering; today 50 percent of all cancers of the head and neck are HPV-related. Furthermore, the age group the disease is hitting has been turned on its head. For example, the classic oral cancer patient of yesteryear was an elderly male who had a history of alcohol and tobacco abuse. Not so any longer. The disease is striking men and women in their prime of life with no history of alcohol or tobacco abuse. These young people find themselves with a diagnosis that can lead to tremendous suffering, disfigurement and even death. Fortunately, there is a lot that can be done to intervene. To help prevent HPV-related oral cancer, scientists are now studying whether it’s appropriate to give young boys GARDASIL®, the HPV vaccine recommended for girls. In addition, there are advanced screening and detection techniques that can be easily performed in the office setting. At Family Dentistry of Windsor, Dr. Lipman recognizes the public health problem of HPV-related oral cancer and offers two state-of-the-art tests to his patients. The first, called ViziLite® Plus, allows Dr. Lipman to detect cancers of the head and neck long before they can be seen by the naked eye and before any symptoms evolve. The test is usually performed when patients come in for their routine checkup. It’s simple and inexpensive. The second technique that Dr. Lipman makes available to his patients is an Oral DNA Salivary Test to detect HPV in the oral cavity. Once again, this test is quick, simple, and inexpensive, and can provide a wealth of information as to whether a patient has an increased risk of HPV-induced cancer of the head and neck. In this way Dr. Lipman feels he can make a significant impact in the fight against this devastating disease that’s striking our young people today. 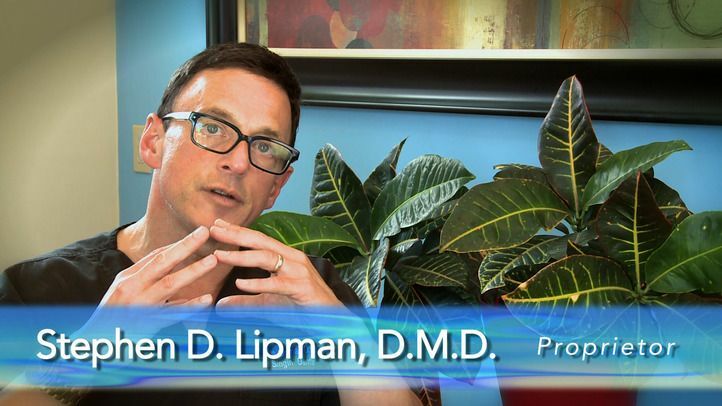 Dr. Lipman has the understanding, diagnostic tools, and advanced technology to properly treat gum disease, to detect HPV related oral cancer before it strikes, and bring a patient’s mouth to a healthy state. Contact our Windsor practice today for an oral health consultation. Learn how Dr. Lipman can help in the fight against the ravages of gum disease and the resulting destructive inflammatory response that can occur throughout the body. Without question, it’s no longer just about saving your teeth; it’s about saving your life.